La 64.ª ceremonia de entrega de los premios Óscar tuvo lugar el día 30 de marzo de 1992 en el Dorothy Chandler Pavilion de Los Ángeles. La ceremonia fue conducida por Billy Crystal. The Silence of the Lambs se convirtió en la primera de terror en ganar el Óscar a Mejor película, igualmente se convirtió en la tercera película en ganar los cinco premio principales que otorga el Óscar ( Mejor película, Mejor director, Mejor actor, Mejor actriz y Mejor guion adaptado) una hazaña que fue lograda anteriormente por It Happened One Night en 1934 y por One Flew Over the Cuckoo's Nest en 1975. La bella y la bestia se convirtió en la primera película animada en ser nominada al Óscar a Mejor película (en ese entonces aun no existía la categoría de Mejor película animada). Por su parte John Singleton se convirtió en el director mas joven en ser nominado al Óscar a la mejor dirección a la edad de 24 años por dirigir Boyz n the Hood. Finalmente las actrices Diane Ladd y Laura Dern , obtuvieron una nominación al Óscar en las categorías de Mejor actriz y Mejor actriz de reparto respectivamente, la cual las convierte en la primera pareja conformada por madre e hija en obtener una nominación al Óscar en el mismo año. Jonathan Demme fue el ganador del Óscar al mejor director por The Silence of the Lambs. Anthony Hopkins fue el ganador del Óscar al mejor actor por The Silence of the Lambs. Jodie Foster fue la ganadora del Óscar a mejor actriz por The Silence of the Lambs. Jack Palance fue el ganador del Óscar a mejor actor de reparto por City Slickers. 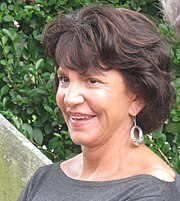 Mercedes Ruehl fue la ganadora del Óscar a la mejor actriz de reparto por The Fisher King. The Silence of the Lambs — Edward Saxon, Kenneth Utt y Ron Bozman. Jonathan Demme — The Silence of the Lambs. Bugsy — Mark Johnson, Barry Levinson y Warren Beatty. El príncipe de las mareas — Barbra Streisand y Andrew S. Karsch. JFK — A. Kitman Ho y Oliver Stone. La bella y la bestia — Don Hahn. Anthony Hopkins — The Silence of the Lambs; como Hannibal Lecter. Jodie Foster — The Silence of the Lambs; como Clarice Starling. Warren Beatty — Bugsy; como Benjamin "Bugsy" Siegel. Robert De Niro — Cape Fear; como Maximilian "Max" Cady. Nick Nolte — El príncipe de las mareas; como Tom Wingo. Robin Williams — The Fisher King; como Henry "Parry" Sagan. Geena Davis — Thelma & Louise; como Thelma Dickinson. Laura Dern — Rambling Rose; como Rose. Bette Midler — For the Boys; como Dixie Leonard. Susan Sarandon — Thelma & Louise; como Louise Sawyer. Jack Palance — City Slickers; como Curly Washburn. Mercedes Ruehl — The Fisher King; como Anne Napolitano. Tommy Lee Jones — JFK; como Clay Shaw. Harvey Keitel — Bugsy; como Mickey Cohen. Ben Kingsley — Bugsy; como Meyer Lansky. Michael Lerner — Barton Fink; como Jack Lipnick. Diane Ladd — Rambling Rose; como la Madre. Juliette Lewis — Cape Fear; como Danielle Bowden. Kate Nelligan — El príncipe de las mareas; como Lila Wingo Newbury. Jessica Tandy — Tomates verdes fritos; como Virginia "Ninny" Threadgoode. Thelma & Louise — Callie Khouri. The Silence of the Lambs — Ted Tally, basado en The Silence of the Lambs por Thomas Harris. Boyz n the Hood — John Singleton. Grand Canyon — Lawrence Kasdan y Meg Kasdan. The Fisher King — Richard LaGravenese. El príncipe de las mareas — Pat Conroy y Becky Johnston, basado en The Prince of Tides por Pat Conroy. Europa Europa — Agnieszka Holland, basado en I Was Hitler Youth Salomom de Solomon Perel. JFK — Oliver Stone y Zachary Sklar, basado en Crossfire: The Plot That Killed Kennedy por Jim Marrs y On the Trail of the Assassins por Jim Garrison. Tomates verdes fritos — Fannie Flagg y Carol Sobieski, basado en Fried Green Tomatoes at the Whistle Stop Cafe por Fannie Flagg. Mediterráneo (Italia) en italiano — Gabriele Salvatores. Children of Nature (Islandia) en islandés — Fridrik Thor Fridriksson. Dà Hóng Dēnglóng Gāogāo Guà (Hong Kong) en mandarín — Zhang Yimou. The Elementary School (Checoslovaquia) en checo — Jan Svérak. The Ox (Suecia) en sueco — Sven Nykvist. In the Shadow of the Stars — Allie Light y Irving Saraf. Deadly Deception: General Electric, Nuclear Weapons and Our Environment — Debra Chasnoff. Death on the Job — Vince DiPersio y William Guttentag. Doing Time: Life Inside the Big House — Alan Raymond y Susan Raymond. The Restless Conscience — Hava Kohav Beller. Wild by Law — Lawrence Hott y Diane Garey. A Little Vicious — Immy Humes. Birdnesters of Thailand — Eric Valli y Alain Majani. Memorial: Letters from American Soldiers — Bill Couturié y Bernard Edelman. The Mark of the Maker — David McGowan. Session Man — Seth Winston y Rob Fried. Manipulation — Daniel Greaves. Birch Street Gym — Stephen Kessler y Thomas R. Conroy. Last Breeze of Summer — David M. Massey. La bella y la bestia — Alan Menken «Beauty and the Beast» — La bella y la bestia; Música por Alan Menken; Letra por Howard Ashman. El príncipe de las mareas — James Newton Howard. The Fisher King — George Fenton. «Be Our Guest» — La bella y la bestia; Música por Alan Menken; Letra por Howard Ashman. «Belle» — La bella y la bestia; Música por Alan Menken; Letra por Howard Ashman. «(Everything I Do) I Do It For You» — Robin Hood: príncipe de los ladrones; Música por Michael Kamen; Letra por Bryan Adams y Robert John Lange. «When You’re Alone» — Hook; Música por John Williams; Letra por Leslie Bricusse. Terminator 2: el juicio final — Gary Rydstrom y Gloria S. Borders. Terminator 2: el juicio final — Tom Johnson, Gary Rydstrom, Gary Summers y Lee Orloff. Backdraft — Gary Rydstrom y Richard Hymns. Star Trek VI: aquel país desconocido — George Watters II y F. Hudson Miller. Backdraft — Gary Summers, Randy Thom, Gary Rydstrom y Glenn Williams. JFK — Michael Minkler, Gregg Landaker y Tod A. Maitland. La bella y la bestia — Terry Porter, Mel Metcalfe, David J. Hudson y Doc Kane. The Silence of the Lambs — Tom Fleischman y Christopher Newman. Bugsy — Dirección artística: Dennis Gassner; Diseño de decorados: Nancy Haigh. JFK — Robert Richardson. Barton Fink – Dirección artística: Dennis Gassner; Diseño de decorados: Nancy Haigh. El príncipe de las mareas — Dirección artística: Paul Sylbert; Diseño de decorados: Caryl Heller. Hook — Dirección artística: Norman Garwood; Diseño de decorados: Garrett Lewis. The Fisher King — Dirección artística: Mel Bourne; Diseño de decorados: Cindy Carr. El príncipe de las mareas — Stephen Goldblatt. Terminator 2: el juicio final — Adam Greenberg. Thelma & Louise — Adrian Biddle. Terminator 2: el juicio final — Stan Winston y Jeff Dawn. Bugsy — Albert Wolsky. Hook — Christina Smith, Monty Westmore y Greg Cannom. Star Trek VI: aquel país desconocido — Michael Mills, Edward French y Richard Snell. Barton Fink — Richard Hornung. Madame Bovary — Corinne Jorry. The Addams Family — Ruth Myers. JFK — Joe Hutshing y Pietro Scalia. Terminator 2: el juicio final — Dennis Muren, Stan Winston, Gene Warren, Jr. y Robert Skotak. Terminator 2: el juicio final — Conrad Buff, Mark Goldblatt y Richard A. Harris. The Commitments — Gerry Hambling. The Silence of the Lambs — Craig McKay. Thelma & Louise — Thom Noble. Backdraft — Mikael Salomon, Allen Hall, Clay Pinney y Scott Farrar. Hook — Eric Brevig, Harley Jessup, Mark Sullivan y Michael Lantieri. Por primera vez se presenta este tributo a los artistas del cine fallecidos en 1991: Natalie Schafer, Richard Thorpe (director), Eva LeGalline, Peggy Ashcroft, Jean Arthur, Michael Landon, Lee Remick, James Francisus, Colleen Dewhurst, Frank Carpa (director), Brad Davis, Viviane Romance, Irwin Allen (director), Fred MacMurray, Gene Tierney, Yves Montand, Klaus Kinski, Ralph Bellamy, Eleanor Boardman, Virgina Field, Freddie Bartholomew, Jose Ferrer, Ray Danton (director) y Sandy Dennis. Esta página se editó por última vez el 7 mar 2019 a las 07:35.